HOUSTON – Middle Tennessee used a fast start offensively to pick up a huge win against No. 14 Rice, 7-4, Saturday afternoon at Reckling Park. Left fielder Jared Allen led the way on offense as he finshed 2-for-5 on the afternoon with two RBI. Shortstop Austin Bryant and first baseman Kevin Dupree both tallied multiple hits for the Blue Raiders. Center fielder Ronnie Jebavy and designated hitter Austin Norrell both tallied one hit and a RBI. 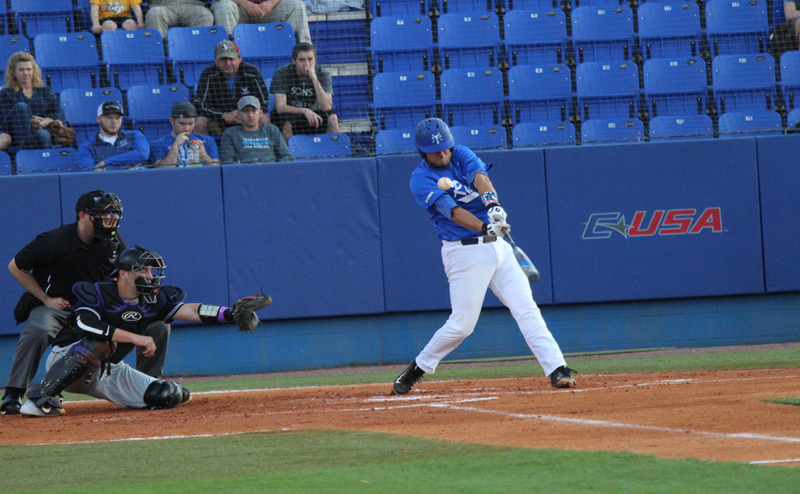 Right fielder Brad Jarreau and third baseman each tallied a hit for MTSU. The Blue Raiders (17-12, 9-2 C-USA) got on the board first with two runs in the top of the third inning. The two runs came on back-to-back two-out RBI hits by Jebavy and Allen, giving MTSU a 2-0 lead. MTSU tacked on two more in the top of the fourth as Norrell and Bryant drove in a run apiece to propel the Blue Raiders to a 4-0 lead. Three more runs were added in the fifth thanks to the seventh home run of the year by Allen. 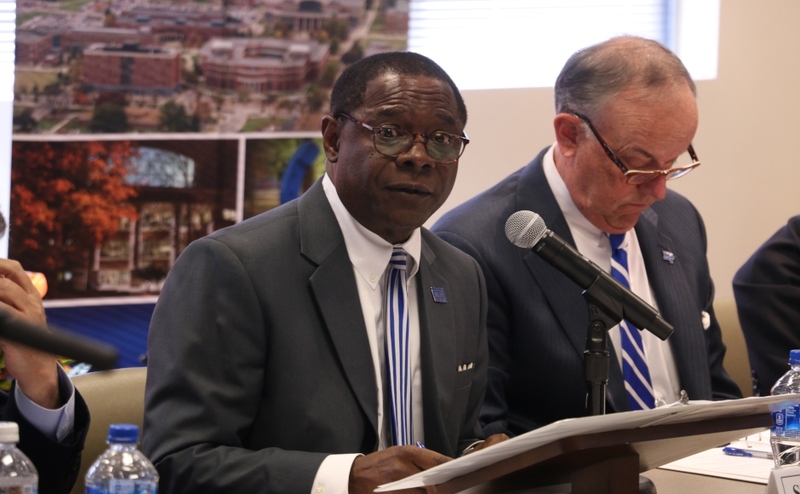 His blast gave MTSU a commanding 7-0 lead. The Owls (21-12, 10-4 C-USA) never went down without a fight as they responded with four runs on six hits to cut the deficit to three at the end of seven innings. However, it was not enough as the Blue Raiders’ bullpen shut down the Owls’ offense in the late innings to hang on for a 7-4 upset win over the Owls. Starter Nate Hoffmann improved to 3-1 on the year and allowed two runs on four hits, walking four walks striking out three in six strong innings of work. Reliever Kooper Kessler recorded his second save of the year and allowed two runs on five hits, striking out five in three full innings of relief. The Owls’ starter Blake Fox picked up his first loss of the year and was rocked, allowing seven runs on nine hits in 4.2 innings on the mound. Rice used four pitchers in total in the loss. MTSU now holds a full one-game lead over Florida Atlantic in the Conference USA standings. The Blue Raiders will look to clinch their fourth-straight weekend series when the two teams meet in the rubber match Sunday. First pitch is slated for 1 p.m. CST.